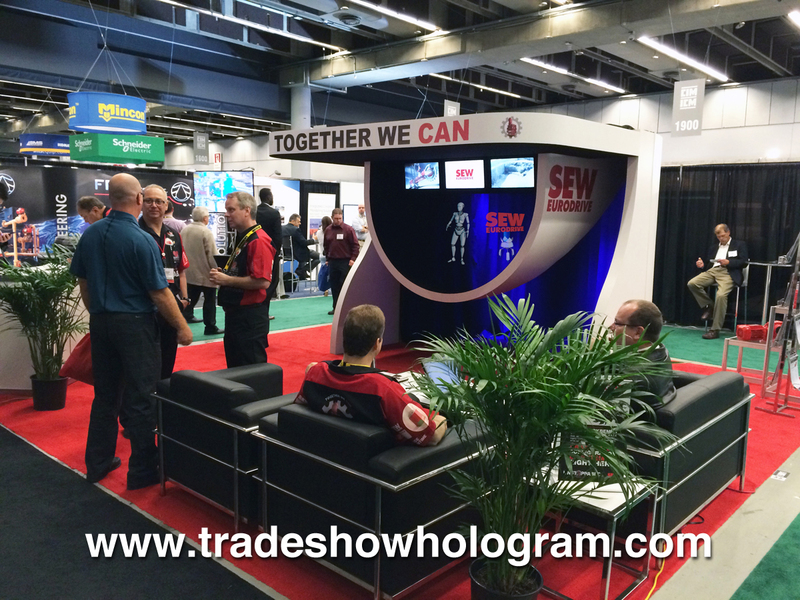 Trade Show Holograms has recently developed its largest hologram projector to date. The latest large scale hologram projector has an open airspace of 30 feet across which allows for a 3D holographic projection of up to 20 ft wide to be projected. 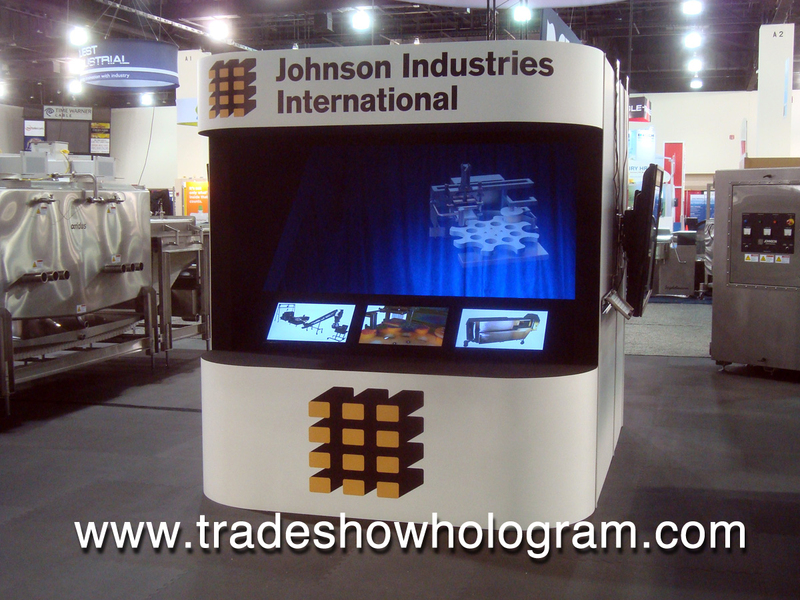 The jumbo sized display designed by corporate illusionist Timothy Drake was a hologram projector rental used for an annual corporate conference to highlight features of the companies latest equipment. Special thanks go to Robyn McCamy and Maple Ridge Event Solutions who provided staging, lighting and drapery for the production.